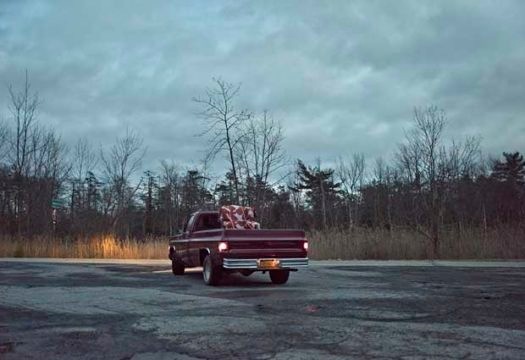 The American artist Rob Pruitt makes his online debut with Rob Pruitt x Yoox. 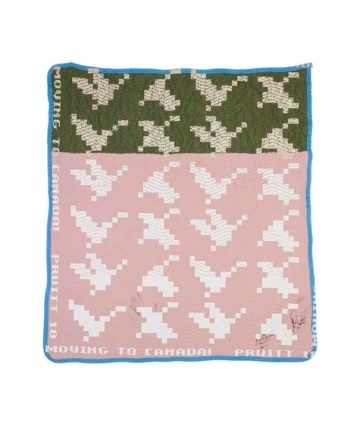 Migration Moving Blanket, 2018, a special project made exclusively for Yoox. The company will present a series of forty unique works, in limited editions, each accompanied by a certificate of authenticity signed and numbered by the artist. 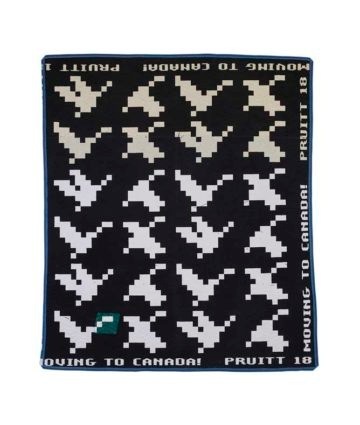 A natural continuation of Pruitt’s latest project American Quilts, the series created for Yoox has been made with salvaged blankets sewn together and screen printed with a symbol: the migratory movement of ducks. 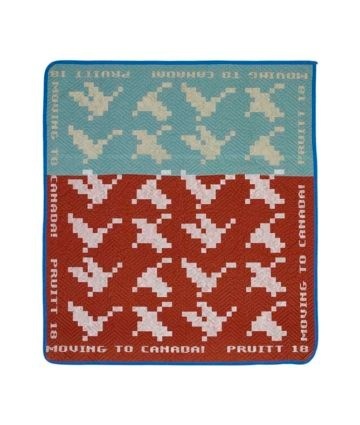 The motif suggests pixels, but also the elements traditionally used to make quilts. Rob Pruitt x YOOX. 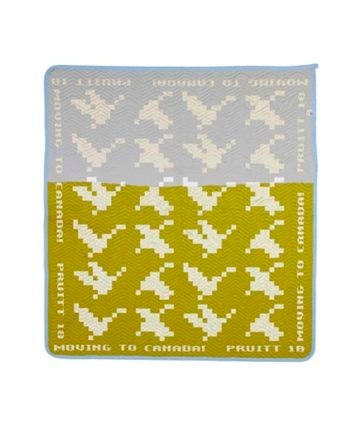 Migration Moving Blanket, 2018, will debut online at Yoox starting on 7 February 2019, at the start of the art and design fair Nomad St. Moritz, where the work will have its premiere showing.